Twice a year on Valentine’s Day and Mother’s Day, Brian does hand-dipped Chocolate covered Strawberries! It’s never too early to start thinking of gift ideas for Mother’s Day! These delicious strawberries will do just the trick! 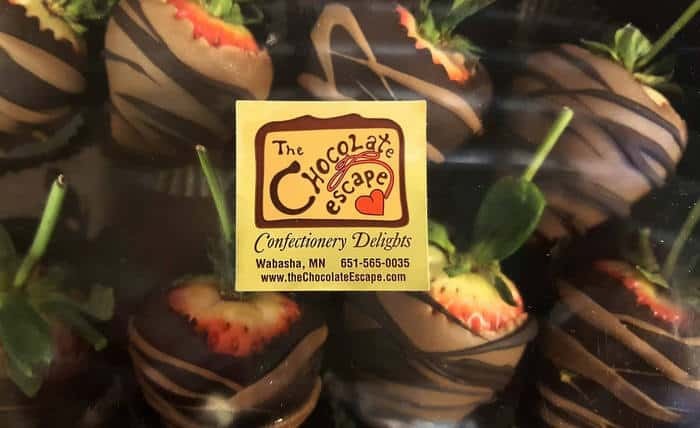 Give us a call at 651-565-0035 at the Chocolate Escape as Mother’s Day draws nearer to get yours ordered …boxes are “made to order” ONLY!